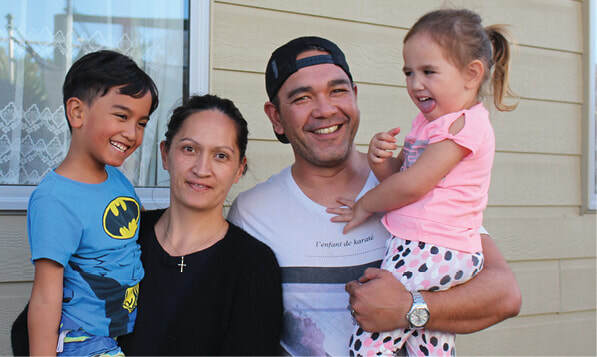 We're excited to be supporting a brand new home build by Habitat for Humanity in the Central North Island. Just by hosting your website with The Good Website Company a portion of each customer's hosting fee is donated to this scheme. The Assisted Home Ownership Programme works like this: Habitat for Humanity build a house for a family. The family donates at least 500 hours in 'sweat' to help with their home build partnering with volunteers and builders who have given their time for free. The family then rent the home for a number of years before being given the opportunity to buy it at the original price the day it was built meaning they have some equity to use for a deposit. They also benefit from the rent they have paid during those years minus expenses to help them qualify for a mortgage from the bank. Our customers are helping a Kiwi into a new home just by hosting their website with The Good Website Company ensuring that their business is making a real difference in someone's life!